Stay directly on the beach at Ocean Reef vacation resort, resting on over 320’ of beach frontage in Panama City Beach, Florida. 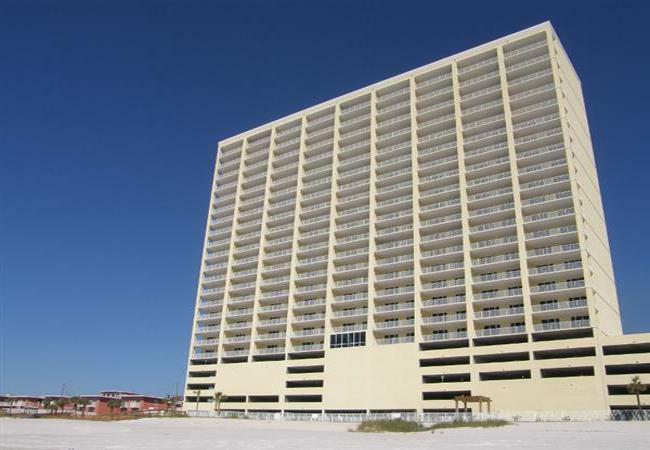 See our breathtaking Gulf and beach views from your own vacation condo. Spend hours at the beach or by the Gulf front pool. Enjoy the indoor pool and stay in shape with our fitness room, also boasting a view. Ocean Reef community amenities invite you to soak up the sunshine in every way possible, including Gulf front pool, indoor pool, hot tub, fitness center overlooking the ocean, steam and sauna room. With all this included, you may never need to leave Ocean Reef. But if you do venture out, Ocean Reef condominiums are less than 1.5 miles to both the Frank Brown sports complex and Pier Park, the 900,000 square foot lifestyle center featuring great shopping, dining, events and attractions! So, if you want to be on the beach and close to everything Ocean Reef is just the perfect vacation place for your family to create new vacation memories.